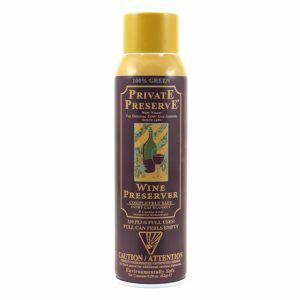 There are many wine preserver options and brands available and the ultimate question is what is the best way to preserve wine when you do not drink the whole bottle. Our answer is that there is no best wine preserving system. It all depends on your personal situation. A simple system to help can be a wine pump that removes the air out of the bottle after you opened by using a good wine foil cutter and opener. 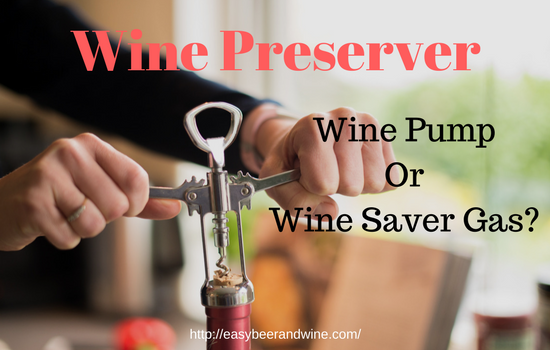 In that way preservers your wine and keep it fresh till the next time you use it. An other option is the use of pressurized wine preserver gas this is an inert gas system that uses Argon, CO2, Nitrogen or a combination and when you spray it in your opened wine bottle it will keep the wine fresh with a simple wine bottle stopper. Both these option have many brands and models that we will have a look at to help you find the best wine preserving system. Just remember that there is no wine saver for every situation and you have to find the best wine preservers that fits your needs. Since it is hard to put the original wine cork back in the bottle and wine needs to stay away from oxygen as much as possible. We need something to close the wine bottle after opening. This is what a wine stopper does. 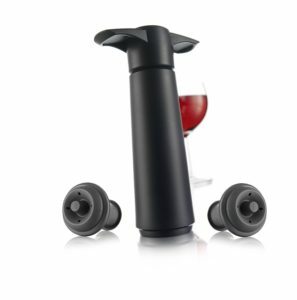 It prevents the air from getting into the wine bottle and take out all the flavor and smell. Many people recommend to use also a wine cooler to prolong the freshness. A wine preserver pump is like we mentioned above a small hand operated pump that you place on the wine bottle you like to safe for another time. By removing the air we slow down this so called wine oxidation process. We looked at a number of the pumps to help you find maybe an unique wine stopper for your home. Here is a video on how a wine pump works. Let’s start with what we could call the best selling and most known wine saver we could find. This is the original Vacu Vin and with reviews of over 2800 buyers and an average of 4.5 stars it looks like it deserves these high ratings. The box says that it is made in the Netherlands and that is a nice change after seeing so many product made in China. This wine pump removes just like all other ones the air from the bottle and slows down the oxidation process and keeps it fresh up to two weeks is the claim. The stoppers are made of rubber and I read in the FAQ that they last for a long time before they need to be replaced. I like to look at the lower rating to see if something stands out but the few very low raters just mentioned it did not work or they tasted no difference in their wine with or without this wine bottle stopper. Just send it back no product I ever reviewed came with a 100% no fault. 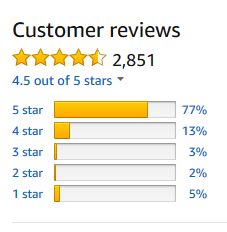 The majority of the people who bought this product are very pleased with it and that shows in the 90% 4 and 5 stars. 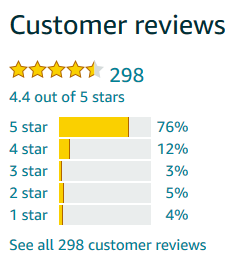 You can click on the star rating to read all the reviews. The set can be purchase in white or black and in combination with 2,4 or 8 wine stoppers. TIP! Find the best deal on the Vacu Vin wine pump by clicking here! This wine pump from the Vremi brand got a 4.7 stars out of 5 to give from over 800 people who bought this product. 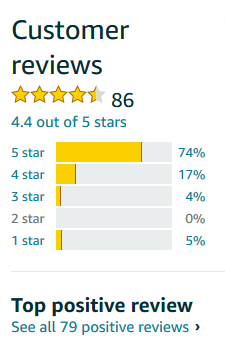 94% of the buyers gave a 4 and 5 star rating. There are 4 buying options and they are with 3,4,5 or 9 rubber wine stoppers. I could not find any replace wine stoppers so I suggest to buy the nine pack. Although I read in a review that someone used generic wine stoppers with this Vremi. Like any other vacuum pump this one also works on bottles with screw caps as long as the internal diameter is large enough for the stopper to fit. What many people mentioned is that they think the wine lasted longer than with any other brand wine vacuum they had used before and that is probably why it received such high ratings. I was surprised by the large number of high ratings in this OXO vacuum wine preserver review. 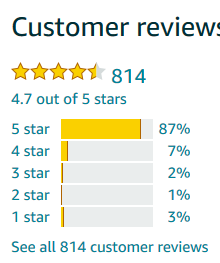 It just made me wonder why an average of 4.4 while 91% of the users gave it a 4 or 5 star rating. I founds that the few lower ratings were from people who thought the product does not work to well or one wrote that the handle broke of. On the other hand there are all the high rating that were completely happy with this wine pump. I like the fact that you can order replacement stoppers if you need them. 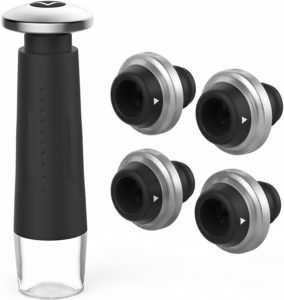 Click here to order the OXO replacement wine stoppers. Many people like to store there bottles horizontal and that works great with this wine preserver system from OXO. The OXO brand is pretty much associated with the word quality and this shows in the ratings of this very affordable wine vacuum system for home. I read that someone kept his wine fresh for over two weeks with it. TIP! 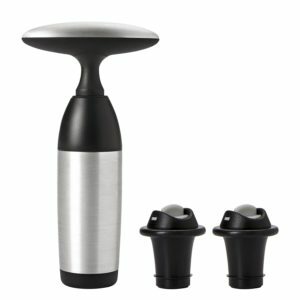 Find the best deal on the OXO steel vacuum wine saver pump by clicking here! These reviews are still going on but here is a link to the page we think will give you the best wine pump for your home. 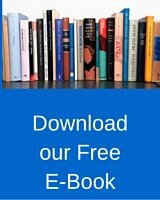 Or have a look at my personal recommendations here. A little more unknown but still a good way to preserve wine is the use of an argon wine system preservation system like some people call it. This name is not real accurate since most of them use more nitrogen and less argon gas since the price of argon is a lot higher. The debate what works better is an ongoing one and will probably go on for a long time. They all make use of a wine preserver gas like we wrote in our introduction and this gas is heavier than air and basically covers the wine so that the oxygen can not reach it. Here is a video that explains how to use a wine preserver gas. What I found in our private preserve review is that this system is more popular than I expected. This wine preserver gas is available in several sets. From just one bottle to a 12 pack to save money in the long run. One word of advise is that this system does not work for champagne or other carbonated liquids. One bottle will give you about 120 times of preserving your wine. Compared to the price this is pennies per use. This gas is a mix of Argon, Carbon dioxide and Nitrogen and of course it is FDA approved, medical grade and non toxic. Like I mentioned before the gas will be like a blanket that covers the wine and prevents the oxygen in the air from ruining the taste and freshness of your wine. In one of the comments I read that someone claimed that his or her wine stayed good for a month. This could be true but most recommendation talk about keeping your wine fresh for about a week. You can read all customer comments by clicking on the picture on the right. The good thing is that the private preserve has no expiration date since it is a gas. As long as the can is not damaged or leaks this can last you for years. Good to know if you are someone who drinks wine ones in a while and only needs this system sparingly. TIP! Find the best deal on the Private Preserve True 1026 by clicking here! We found a video on how to use private preserve for you. We are still doing a lot of research to give you the best choices in the gas wine preservers. You can see our top rated ones here. We looked at a number of the brands that use this wine preserver spay and tried to found out how they performed. You can find a collection of gas wine preservers here. We are still doing a lot of research to give you the best choices in the gas wine preservers. You can see our top rated ones here soon. Or have a look at my personal recommendations here! This is probably one of them never ending discussions and everyone has his own opinion about it. There are however facts that have to be taken in consideration that might make you change your mind. Argon gas is also heavier than Nitrogen and although this looks like a very good property it might not be the case. There is a process called molecular diffusion that will eliminate some of the effects that we like to see and that is that it forms a blanket over our wine. Nitrogen is cheaper and can be made in house. No problems with delivery and handling dangerous tanks. It is also used in many other industries for the same purpose like on edible oils. Some chemical plants even use it to blanket of explosive gasses. My opinion is that Nitrogen is more cost effective and if we talk about use for home we never leave a bottle sit for a longer period of time. A few days to a week maybe. The use of the more expensive Argon gas wine preservation system does not make sense to me for home usage. If you have an opinion about any wine preserver or think you found the best wine preservation systems please let me know in the comment section.